The second class is Sustainability & Marketing. Bridging his research and teaching passions, this course gives students an edge in the marketplace by providing application-based learning across social, political, economic, environmental, and legal spheres within a business context. 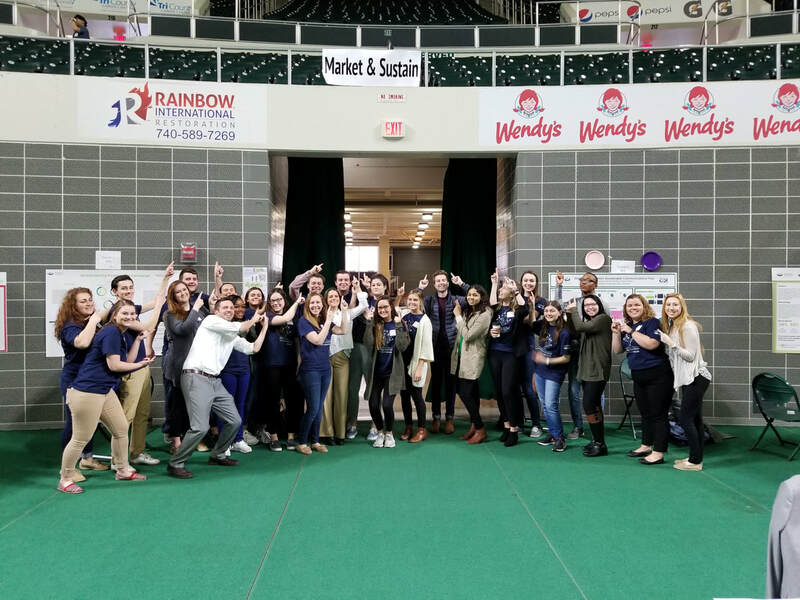 Students critically investigate the overlap of marketing concepts with sustainability while enhancing their personal brand as well-rounded businesspeople. Activities include ranking stakeholders and completing a March Madness style tournament, discussing personal bad habits and how to change them, comparing firms sustainability marketing strategies, calculating your Eco-Footprint, etc. Below are examples from the 1% Tax activity and the Research Expo. Imagine...the world has passed a law to levy a 1% tax on all consumable goods and services for some social or environmental good. Your team's job is to advocate for your cause with a 1:00 commercial. The funds will be allocated to the cause that garners the most support. Check out how Colin's classes have represented the College of Business at the Research Expo three years running.